It’s a captivating image: as the seasons start changing, look up at the sky and you’ll no doubt see hundreds if not thousands of birds migrating towards more hospitable climates. And it’s not just birds – butterflies, frogs, snakes and mammals such as deer, moose and sheep also migrate . In fact, it’s been described as “near universal in the animal kingdom”. 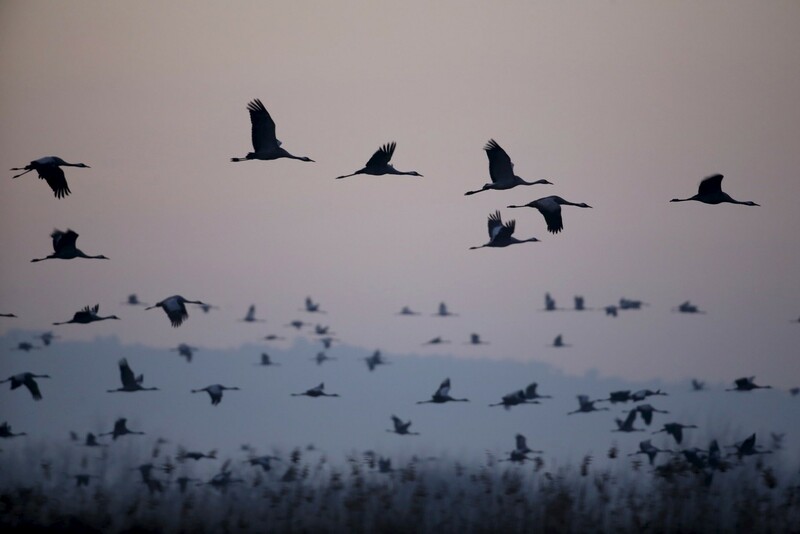 This fascinating phenomenon has been playing out since the beginning of time, but there’s a particular type of migratory behaviour that has experts concerned: climate-induced migration. As climate change transforms once favourable environments into inhospitable terrain, animals are forced to seek out new places to live. To highlight just how serious an issue this is, scientists at the Nature Conservancy have created a data visualization that is as mesmerizing as it is worrying. Different species have different climatic needs. While camels can survive in some of the world’s hottest regions, the wood frog can endure temperatures as low as -18°C for months at a time. To create the data visualization, the researchers took the different climatic needs of almost 3,000 species and mapped them against climate change projections. The result is a map, created by Dan Majka , showing where animals will have to flee to find a climate matching their needs. “This map shows the average direction mammals, birds and amphibians need to move to track hospitable climates as they shift across the landscape,” the researchers explain on their website . Here’s the problem, though: while the flows might look smooth when visualized on the map, the reality is far more complex. Thanks in large part to human activity – the roads we build, the apartments we construct, and other things we do that modify the natural landscape – some of these routes will be blocked to animals. Which is why the researchers are hoping the visualization will persuade decision-makers to take action now. “Removing fencing, adding wildlife overpasses (or underpasses) to major roadways, and better routing of infrastructure like pipelines and powerlines can all help re-connect areas fragmented by human development,” they conclude .